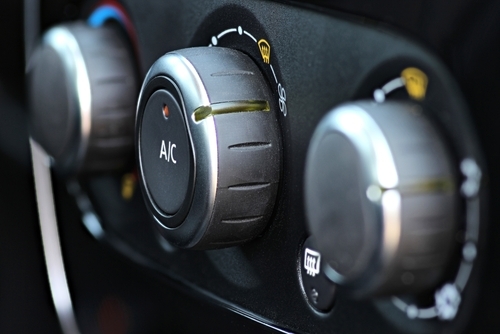 A recent email message of FaceBook post has claimed about the dangerous effects of turning on aircon immediately after entering into the car as its internal plastic surfaces emit certain cancer causing chemicals like Benzene. 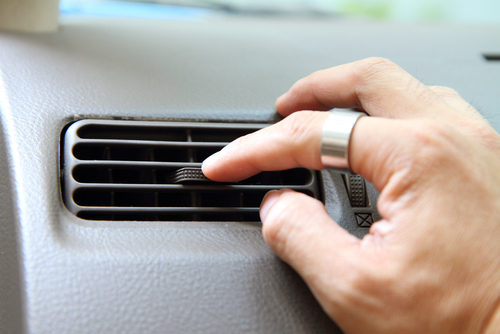 The message has further recommended to open the windows of the car first before turning on its air conditioner to remove harmful elements in its environment. According to this message several researches have proved that the sofa, air freshener and dash board of the car emit a carcinogen Benzene, when it is parked in sunlight. When these plastic surfaces get heated they emit a peculiar smell because they emit a toxin that can cause not only cancer but also reduces white blood cells and cause anaemia. This toxin can also cause leukemia as well as miscarriage along with increasing the risk of cancer if exposed to it for long time. Many researchers have accepted that Benzene can be harmful when its level increases from its acceptable limit of 50mg per sq ft. But the level of benzene can increase up to 400-800 mg per sq ft even if the car is parked indoors. If it is parked outdoors in sunlight at the temperature of 60 degree F then the level of Benzene can range between 2000 and 4000 mg per sq ft which is many times higher than its acceptable limit. These toxins are undoubtedly inhaled excessively by the people entering into the car which can be harmful for their health if the car aircon is turned on immediately after entering into it. On the basis of the evidences collected from lab studies on animals and personal studies on humans it has been proved that Benzene is a cancer causing toxin. The link between cancer and Benzene can cause various types of cancers including blood cell cancer and leukemia etc. The studies on the people working in benzene exposed environment, like working in oil refineries and shoemaking industry, have shown acute increase in the rate of leukemia known as myeloid leukemia. Though some studies have also proved the existence of acute lymphocytic leukemia or ALL in children as well as chronic lymphocytic leukemia or CLL and other blood related cancers like non-Hodgkin lymphoma and multiple myeloma in adults living in benzene affected areas but their evidences ar not so strong to be relied upon. So for this reason the message has suggested to open the windows of the car immediately after entering into it instead of turning on its aircon. If the toxic Benzene is not allowed to go out of the car then it can affect the functioning of your liver and kidney which will make the elimination of toxins from your body difficult. But this warning about the dangerous effects of Benzene is misunderstood by some people. They thought that Benzene is produced by the aircon when it is turned on immediately after entering into the car. In fact if you do not open the car windows after entering into it, it will not allow the inside air containing Benzene caused by the emissions from the plastic surfaces in it to go out of it. so they have suggested to roll down the car windows after getting into it so that you can turn on its aircon after the elimination of Benzene containing air from it. 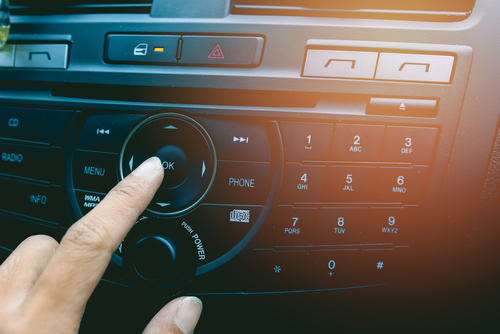 The warning given by the message is about the harmful effects of benzene emitted by the heated plastic interiors of your car claims instead of its aircon. Actually this message warns you about the ill effects of the toxic chemical benzene which can cause a number of ill effects to your health like cancer and anaemia as well as leukemia. The products made by using benzene as solvent like synthetic fibres, glues and plastic etc. emit Benzene as a bi-product. The interior of most cars is made from synthetic fabrics, plastics and glues which contain benzene in one form or the other. Benzene is also used in manufacturing some of the air fresheners used in the cars to freshen up its internal air. Several researchers have proved that in hot weather the interiors of the car emit traces of benzene which can be harmful for its inhabitants if not removed immediately after entering in to it before turning on its aircon. But before taking a precautionary step you should know that how much benzene emitted by the interior of your car can be dangerous for you. In order to know the harmful level of benzene for humans several scientists tested the emissions of volatile elements in the indoors of the cars, new and old, parked in hot sunlight. Their studies showed that both types of cars respectively emitted total amount of volatile elements up to 10.9 mg/m3 and 1.2 mg/m3 when exposed to light of 14000 W. Main elements found in the air of new car were C3 and C4-alkylbenzenes, m, o, p-xylenes, tridecane, methylpyrrolidinone and dodecane. On the other hand, the elements found in the air of old car include methylpyrrolidinone, acetone, acetaldehyde, methylcyclohexane, o,m,p-xylenes, toluene and ethylhexanol. The results of these studies failed to find any toxicity in the interior air of the cars parked in hot sun including benzene that can be harmful for human health. According to these scientists the use of aircon of your car has nothing to do with the effect of benzene on your health. The exposure to various harmful elements including benzene is observed while travelling in an automobile but that may not be necessarily from the emissions of internal components of the car but due to the fuel used in it. The level of benzene in old cars is higher than new cars whereas internal component of new car emit more smell than old one. The level of exposure to benzene significantly increases during winter which proves that the use of aircon immediately after entering into the car has nothing to do with the exposure to benzene. So, while turning on your aircon immediately after entering into the car in Singapore, you should consider all the points discussed in this write-up.